There are so many important things to think about when you return your rental car to the depot. We at VroomVroomVroom have put together a list of some of the most significant factors to help you plan for returning your vehicle and avoid paying for unnecessary additional charges. As a customer, you have a choice on paying for fuel. You may opt to refuel the vehicle to the same level you received it when you picked up the car, or just pre-pay for the gas. 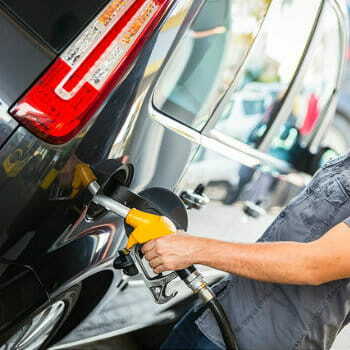 Make sure your rental car has a full tank of fuel before returning it. It is also wise to find a gas station that is close to your depot so that you can make sure the tank is completely full. If the tank is not full, you will be charged per gallon for the cost of refueling. You can purchase the full tank of gas at the start of your rental and you can return at any level. By selecting this option, you won't have to worry about refueling the vehicle. Remember the price is usually competitive with local pump prices, and there will be no refund for unused fuel. Take note that pre-pay fuel option is calculated at the local rate of gas minus a per gallon discount and is not refundable. 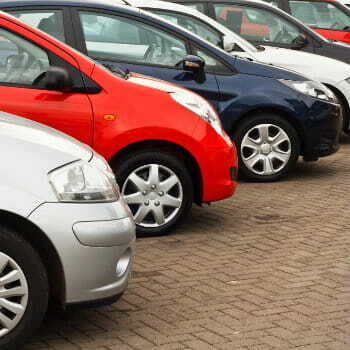 Read more about car rental companies fuel policies. Majority of the rental agencies have a grace period of 29 minutes, while other suppliers don't. That's why it is important that you return your rental vehicle before the scheduled drop-off time. It always pays off to be punctual, otherwise that's when an additional hourly charges will apply. On Hertz website, it states that "extra hour charges will be incurred at the 30 minute mark if the vehicle is returned more than 29 minutes past the original rental time." Hourly charges for your location and rental are included on your rental contract. Read more about grace periods and penalties here. Can I return my rental car earlier than the booked time? You can actually return a rental vehicle early, but whether you can get any refund, or even be penalized for the early return, will depend on the terms and conditions outlined in your rental agreement. Some rental companies may charge customers for an early return fee, while few suppliers don't. Please note that early return fees are usually charged only if you return your car a day or more early and no longer qualify for a multi-day discount. Read more about returning a rental car early here. If you need to return your vehicle outside of opening hours, make sure that you have already confirmed this with the depot at the start of your rental. If out of hours drop-off is permitted, it is essential to ask the car rental company representative what their specific process is, as this may vary per location. Keep in mind also that you will remain responsible for the vehicle until the branch opens again and the vehicle is checked. Read more about returning your rental car out of hours. Can I extend my rental after I have picked up the vehicle? If you are planning to extend your booking, you will have to let the rental company know directly if you want to keep the vehicle longer. Note that extending your rental is subject to availability. It is also the car rental company's decision as to whether they will extend the booking or not. Find out more about extensions by clicking here. When you return your rental car . . .
Keep in mind that the return time and date of your vehicle is stated on your rental agreement. Hence it is recommended that you return your vehicle before your drop-off time , or it could result in you being charged for an extra day's rental. Note that your return location may allow a limited grace period. When it comes to unattended returns, make sure to discuss your options at the start of your rental to the supplier. In terms of return fuel level check, make sure the vehicle has a full tank of fuel. Otherwise, you will be charged depending on the fuel option you selected when you picked up the car.